Last week, I shared a little bit about my reasoning for creating the “Guide To The Best-ish Fast Food Choices”. You can read that post here. The goal isn’t to become a fast food junkie! Quite the contrary! It is to guide thru those less than stellar times when we are forced to reckon with our situation. 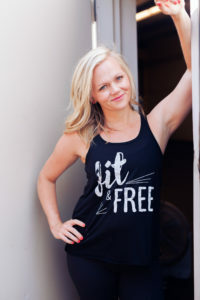 Busy people, working people, college kids….we are sometimes out of our desired and controlled element when it comes to maintaining healthy choices. Think about it-if you travel a lot, you eventually are forced to make a decision around what you can do to stay healthy. So, you start to learn how to make the most of hotel gyms. Or you start to run because it is an easy, take-anywhere solution! If you are committed to making sustainable life changes, this INCLUDES rolling with the punches and not becoming defeatist around your options. So, next time little Jimmy’s ballgame ends at 9:30pm and everyone is hangry and as happy as a cat in a bath and all there is to eat is Taco Bell…you make the best choice possible. Traveling is this way for eating. It’s got to be mental shift from “Oh well, I’ll get back at it when I am home. For now….Double bacon cheeseburger with a large Coke” to “Oh well. Not my first choice, but lemme see what I can do here.” You see? Again-it’s should never ever ever be all or nothing when it comes to health! It will set you up for mental failure and resignation. So, here we are! 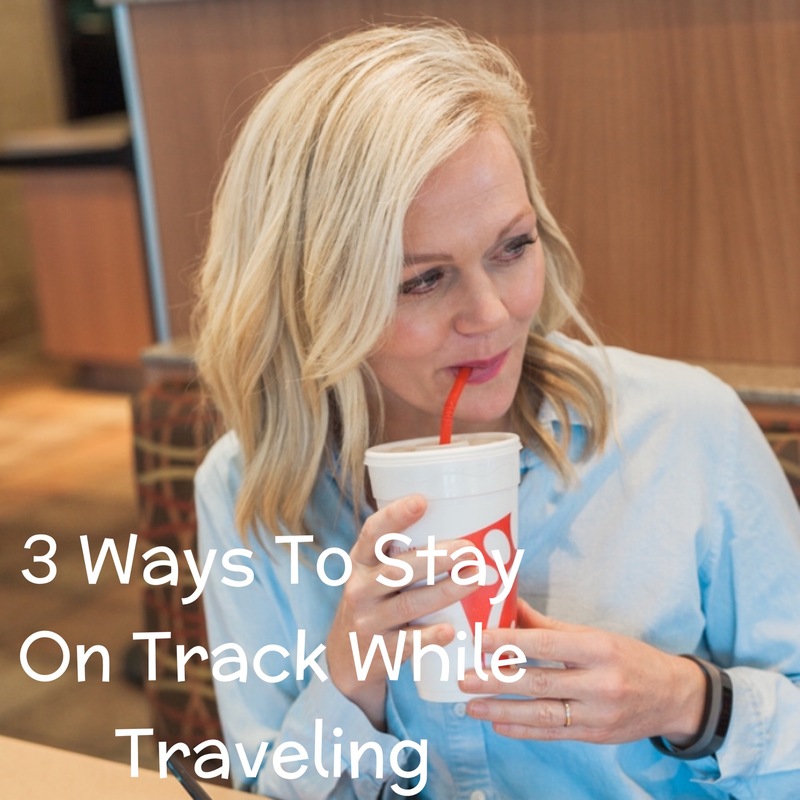 Let’s talk about 3 ways to stay on track while traveling. Just in time for Spring Break and/or Summer Vacations! To me, these breaks breed lack of structures and mindfulness and wreak more havoc on the health journeys than Christmas! And mostly it boils down to people just giving up to their circumstance…and vacation should not be made to make you feel like a victim! LOL! It’s a privilege to get to travel! I encourage you to try these things next time you are traveling for work or for pleasure! 1. Find the protein source in every meal. This basically is trying to find something 1.) you like. 2.) has a good balance of macro nutrients (protein, carbohydrates and fat). Emphasis heavy on the protein. It really is just a way to get fuller for longer. Carbs are great, but as fast burning energy sources, they tend to burn off and leave you hungry faster. And usually while traveling you aren’t working out as much, so I try to find protein sources with every single meal! Chicken, beef, eggs, pork, greek yogurt, cheeses–these all have high protein. You don’t have to aim for a gram amount or anything…just try to eat it with every meal. Maybe it’s just me, but vacation and travel makes me get severe food FOMO (fear of missing out). As I have posted before, I am a foodie and vacations make me want to EAT ALL THE FOOD! You really can’t blame me. I live in a mid-size town that has mostly chain & fast food restaurants. I rarely get to experience cultural, culinary things…and tex-mex does NOT count (sorry, this New Mexico gal has never understood it-LOL!). So, when I go to new places, I want to try the food. And when I go to a new restaurant, I want to order something huge at every course as well as decadent dessert. That is totally normal and all, but the issue is that I am also going to to the same thing tomorrow. And the next day. And the next. And the remainder of the trip. Because…#nocook policy on vacation. So, what has helped me? To become aware of the fact that I can eat the food because it is great, but I don’t have to go OFF on it! Eat a sampling of things. If you love the meat and cheese board…go for it-try some of each! Steak and veggies? Sure! Dessert-yes, have some, or order several and take a few bites of each. You are not required to finish off the entire plate! Chances are you will be super full at some point in the meal, and guess what? Tomorrow there will be another great meal around the corner…just eat like you normally would at the meal in front of you! There is not obligation to overdue it even if the food is giving you all the feels! HA! Listen, I know eating 100% pure is not easy…it’s almost impossible. Add all the issues of life and it’s a even more challenging. And honestly, you will be back in your usual element in a relatively short amount of time, so a slip up here and there are not going to end it all! Just get out of the “All or Nothing” mindset and try to live out the “I am doing my best” mindset. And you will start to see changes take place in your eating habits and the way you self-talk. It’s a practice for sure. And remember the goal is to always eat the same. Monday-Sunday and home or on vacation. It’s a no-diet life style in the works. Trust yourself in the process of learning a new way. New ways have slip ups and bumps. It’s all good…just keep at it! If you have never done my e-course, #FoodAsFuel I HIGHLY encourage you to go thru it. One email teaching per day for 9 days with practice notes. It’s *free* and you can get it here. ANNNND, if you need to grab the “Best-ish Fast Food Choices” e-guide for FREE….you can do that by clicking THIS LINK .